Bangalore-based Banger Tech Pvt. Ltd, which operates digital milk delivery startup Doodhwala, has raised an undisclosed amount in pre-Series A funding from Tom Varkey, a partner at US-based hedge fund Stonehill Capital. The company will use the funds for technology ramp-up, market expansion, and to increase the team size, a press statement said. The startup is also looking to close a Series A round soon, the statement added, without specifying a timeline. 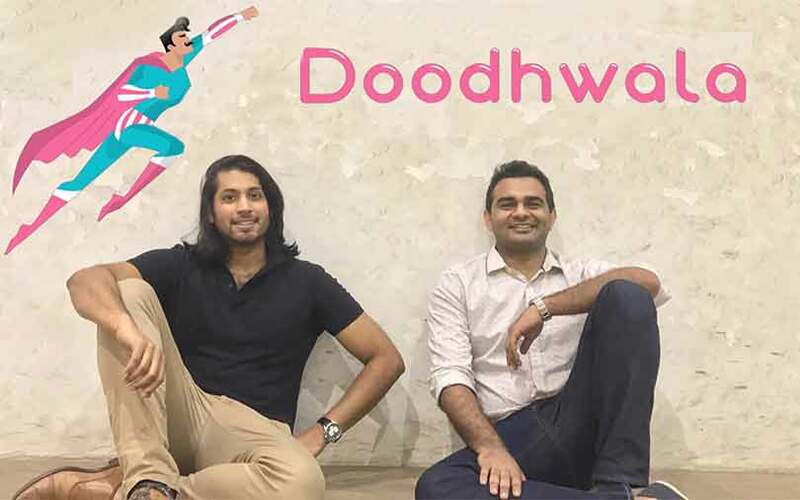 Founded in 2015 by Ebrahim Akbari and Aakash Agarwal, Doodhwala is a mobile-first subscription platform for milk and household products. Apart from 70 varieties of organic, raw and commercial milk, the two-year-old startup also claims to offer over a lakh products including eggs, bakery, meat, fruits and vegetables, health drinks, personal care, and hygiene products. For milk delivery, the company uses a hybrid model comprising part-time delivery boys and milk suppliers. “The infrastructure of fresh milk delivery in India is haphazard despite high demand and supply shortage. This gap makes us essential to milk suppliers and creates dependency on our delivery network. Customer acquisition is also easy and cheap,” said Akbari. The company makes its deliveries between 4 am and 7 am, a model that it claims is working for it. "The customer retention rate is 80%, a number that is expected to increase in coming months," said Agarwal. Doodhwala, which claims to make a lakh deliveries a month, hopes to turn operationally profitable by the end of the year. “Their unit economics are healthy as they have an impressive delivery infrastructure with a 25% month-on-month growth rate,” Varkey said. The company, which started off with operations in Bangalore, recently expanded to Pune, and is looking to expand to more cities. In the grocery subscription space, a couple of ventures have attracted investor interest of late. Last month, Bloomskart Retail Pvt. Ltd, which operates online grocery startup RainCan, secured $270,000 in a pre-Series A round from IIFL Holdings Ltd group CFO Prabodh Agarwal and existing investor Dr. Aniruddha Malpani. In May, grocery subscription startup Supr Daily raised $1.5 million from Silicon Valley-based investors Soma Capital, Great Oaks Ventures and 122 West Ventures.